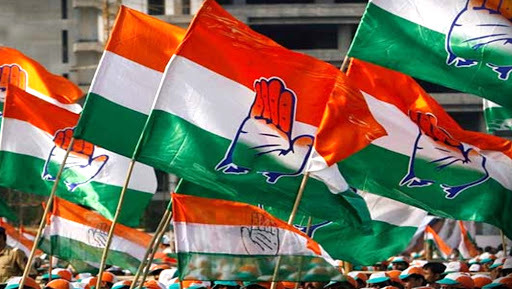 New Delhi, March 19: Congress party on Tuesday released its sixth list of candidates for the upcoming Lok Sabha elections for two states – Kerala and Maharashtra. In the latest list, Congress has given the ticket to nine candidates, two from Kerala and seven from Maharashtra. According to the news list, the Congress has given the ticket to Shanimol Usman from Alappuzha Lok Sabha constituency in Kerala, which is represented by its own sitting parliamentarian KC Venugopal. The other seat for Kerala’s Attingal has been given to Adoor Prakash. Lok Sabha Elections 2019: Congress Releases Fourth List of 27 Candidates, Gives Shashi Tharoor and Anto Antony Tickets From Kerala. Considering the case of Maharashtra, Congress given to the tickets to following candidates – KC Padvi (Nandurbar-SC), Kunal Rohidas Patil (Dhule), Adv Charulata Khajasingh Tokas (Wardha), Manikrao G Thakare (Yavatmal-Washim), Eknath Gaikwad (Mumbai South-Central), Bhausaheb Kamble (Shirdi-SC), Navinchandra Bandivadekar (Ratnagiri-Sindhudurg). So far Congress has released the names of 146 candidates for the Lok Sabha elections. The Lok Sabha Elections will be held in seven phases – April 11, 18, 23, 29 and May 6, 12, 19 – while results would be announced on May 23.